VERY HIGH DEMAND PRODUCT-VERY HARD TO FIND. For centuries, Argan Oil is known for its amazing effects, hair loss treatment and hair embellishment. Naturally features vitamin E, essential fatty acids and polyphenols, Argan Oil is at once hydrating and nourishing your hair and skin. A small drop of Argan Oil applied to the skin produces a youthful, radiant glow with no greasy residue. Intensify shine and softness to hair with Leudine Pure Argan Oil. Commonly referred to as "The Gold of Morocco," pure argan oil is a rich source of vitamin E and essential fatty acids. It nourishes the skin and hair. You may have seen Argan Oil on the home shopping channels or in high-class salons, where it often commands a very high price. Now you can experience the wonder of Leudine Argan Oil Hair Care Products without paying salon prices. L'eudine Cosmetic Science is proud to present pure, Certified Organic Argan Oil, 100 % natural products free of the perfumes and other additives commonly found in salon products. Better for your skin, and better for your pocketbook, L'eudine Argan Oil hair Products are the latest ally in the fight against visible aging and the quest for beautifully healthy hair and skin. 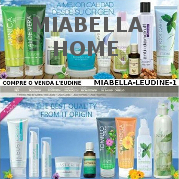 You will fall in love with this beautiful line of products.